Hallelujah! Praise God in his holy temple; praise him in the firmament of his power. 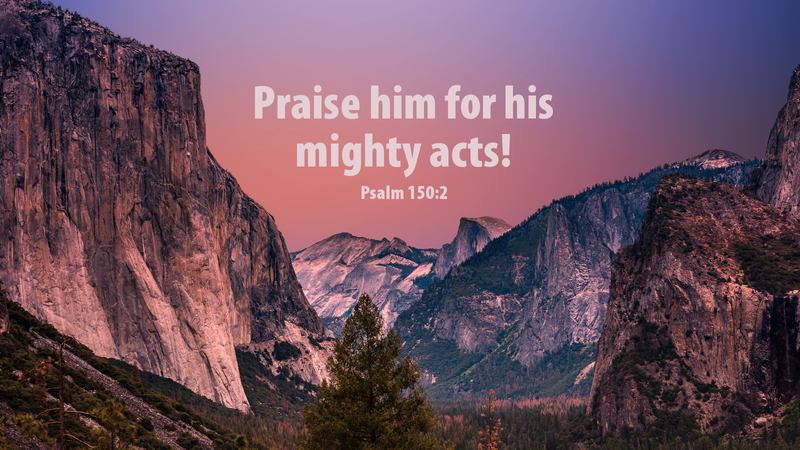 Praise him for his mighty acts; praise him for his excellent greatness. Praise him with the blast of the ram’s horn; praise him with lyre and harp. Praise him with timbrel and dance; praise him with strings and pipe. Praise him with resounding cymbals; praise him with loud-clanging cymbals. If there is one thing we have been learning from our Ethiopian brothers and sisters in the Mekane Yesus church, it’s how ready they are to praise the Lord! They sing and dance, they raise their hands and clap, full of the joy that comes from being in the presence of the Lord God almighty in his holy temple! This is not to say that all Lutherans should praise in the same way. Remember the movie, White Men Can’t Dance (2012)? Maybe the title should be “White Men Shouldn’t Dance”! (At least that’s true with some of us men!) We all come from different cultural and ethnic backgrounds and need not think there is only one way to “praise God in his holy temple.” Some will praise God dancing and clapping. Others will praise God singing hymns from the 1500s. Some will praise God with organ and choir, while others will praise with guitars and tambourines. The call of the psalmist is for everything that has breath to praise the Lord! While we spoke yesterday about Advent as a “penitential” season, today we are reminded that it ought, also, be a season of praise. Why do we sometimes forget to thank and praise God? We are occupied and sometimes overwhelmed by the burdens of the day. We take our focus off Jesus Christ and turn our hearts toward Santa Claus, gift-giving and holiday socializing. We become distracted by the many things, ignoring the one thing: God and his mighty acts, God and his excellent greatness! Let us not praise God only in his holy temple, but let our whole lives be filled with praise and thanksgiving, whenever and wherever we are. Let our every breath be praise to our God, who loves us and gave his only begotten Son for us! Prayer: Lord God almighty, you are worthy of our thanks and praise — all day, every day! In Jesus’ name, Amen. Advent Action: Begin every day during Advent with Psalm 150. As we are in the time of Advent leading us into Christmas, and many of the store employees have been instructed to say Happy Holidays, we need to step in and wish everyone a MERRY CHRISTMAS and see the responses. I wear my Santa hat, but I want people to know that the majority know the reason for the season. You are so right, Danny Ward!